But according to Reuters, diplomatic sources said Italy blocked a joint EU position to recognise Guido as the interim leader, as the government in Rome is deeply divided over the issue. Here is a breakdown of who has moved to support him in Europe. Spanish Prime Minister Pedro Sanchez led the charge on Twitter, saying he recognised Guaido with a "clear view: the call for free, democratic presidential elections, with guarantees and without exclusions." UK Foreign Minister Jeremy Hunt followed suit less than a minute later, confirming the "UK, alongside European allies, now recognises Juan Guaido as interim constitutional president until credible elections can be held." "Let's hope it takes us closer to ending the humanitarian crisis," he added. 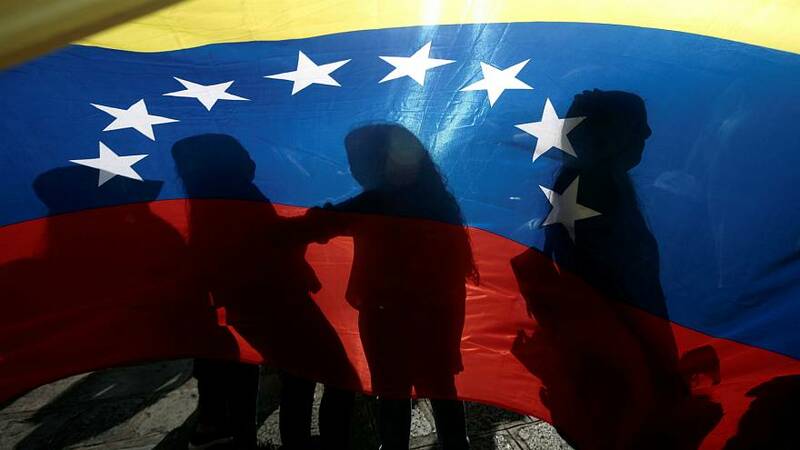 Austrian Chancellor Sebastian Kurz said he supported Guaido "to restore democracy in Venezuela, which has suffered for too long from bad socialist management and an absence of rule of law." Danish Foreign Minsiter Anders Samuelsen applauded fellow messages from Europe in his recognition message to Guaido. Swedish Foreign Minister Margot Wallstrom confirmed in an interview on local radio on Monday that Sweden had also recognised Guaido as the legitimate interim president, referring to a statement from the EU that is due to be released later today. French President Emmanuel Macron also joined the list, saying "Venezuelans have the right to express themselves freely and democratically." "France recognises Juan Guaido as "president in charge" to implement an electoral process." Latvian Foreign Minister Edgars Rinkēvičs also tweeted on behalf of his country, calling "for free, fair and democratic presidential elections" under Juan Guaido as Venezuela's interim president. In a lengthier statement, the Latvian foreign ministry added that it "believes that democracy, consistent respect for human rights in line with international standards should be restored in Venezuela, and a peaceful solution to the crisis must be achieved." "Nicolas Maduro's claims to the presidency are not legitimate and do not correspond to a democratic state system," it said. "We expect free and democratic elections, strongly support ICG, initiated by the EU. Democracy and rule of law in Venezuela must be restored, human rights protected." "We want freedom and democracy to return to Venezuela ASAP." "For us, Guaido is in tune with Venezuela's transitional president's constitution to organise free, fair and democratic presidential elections." "Our concern continues to be for the people of Venezuela who are suffering from the dramatic supply situation. Germany will provide five million euro in humanitarian aid to Venezuela as soon as the political environment allows it." "Guaido is the only one, in the light of the Venezuelan constitution, with legitimacy to call presidential elections." "The Czech Republic coordinates its position with other EU countries." "To support to constitutional process in Venezuela, Finland supports Guaido as interim president of Venezuela." The "people of Venezuela have inalienable right to freely and democratically choose their leaders and to decide about their own future. We expect Juan Guaido to call for new, free and fair presidential elections." Do you like what Euronews does? Click to sign up for our twice-daily WhatsApp newsletter, a selection of the top stories from around Europe, and download our smartphone app for Android or Apple.